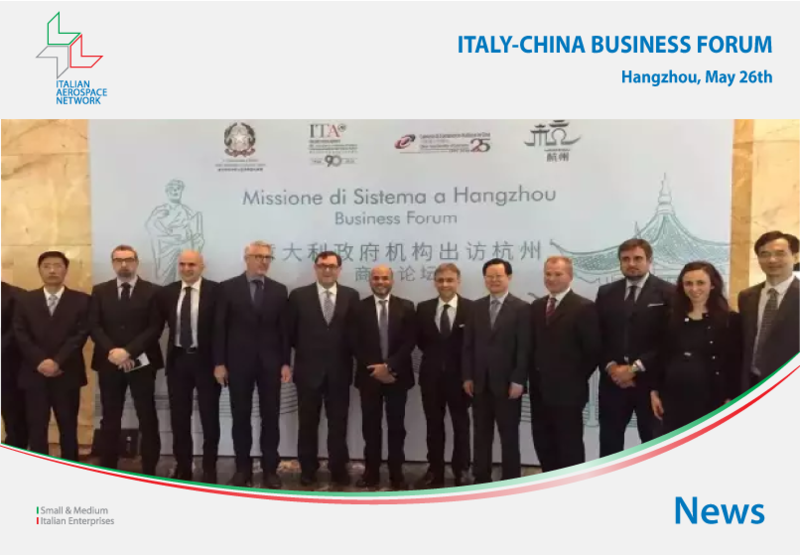 Italian Aerospace Network attended the Italy-China Business Forum, which was successfully held in Hangzhou and organized by the Embassy of Italy, the Government of Hangzhou, the China-Italy Chamber of Commerce and the Italian Trade Commission. The Forum was inaugurated by the Ambassador of Italy to the People’s Republic of China H.E. Ettore Francesco Sequi and Deputy Mayor of Hangzhou, the Consul General of Italy Stefano Beltrame, the Italian Trade Commissioner Amedeo Scarpa and the Italian Chamber of Commerce President Sergio Bertasi. The main focus of the Forum aimed at strengthening the cooperation between Italy and Hangzhou in the Aviation & Aerospace Industry, Healthcare, Food&Beverage, Urbanization, Agricultural Development and E-Commerce.